We've long suspected that Windows 8 would make an appearance in 2012, with the company moving away from the interminable development processes of past versions. According to Microsoft Netherlands, Windows 8 is around two years away, with a mention on an official press release celebrating the first birthday of Windows 7. The Microsoft Netherlands release contains the following phrase: "Furthermore, Microsoft is of course the next version of Windows," continuing with the vague disclaimer, "But it will take about two years before "Windows 8" [is] on the market." 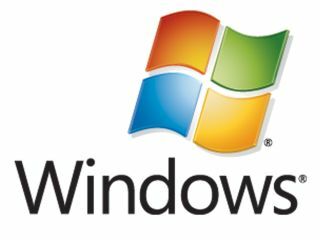 There has been talk of Windows 8 appearing as early as 2012 for some time now, based on some info spotted in slides at Microsoft PDC 2009. Microsoft Netherlands has not yet commented on the mention of Windows 8 in the afore-mentioned press release. In the meantime, why not check out our round up of Windows 8 rumours: everything you need to know.